You Are Here: Home > What Does Trail Rated® Mean? Jeep vehicles are designed to handle treacherous driving conditions, however, some models are designated as Trail Rated®. What does Trail Rated® mean? The Jeep Trail Rated® badge signifies that your vehicle has gone through several grueling tests, proving that it is adventure-ready. Let’s take a closer look at how a Jeep can earn this distinction. Evaluators look to see how a Jeep handles in the elements, such as snow, sand, rain, ice and more. To ensure your Trail Rated® Jeep is prepared to navigate through elevated water levels, the door and window openings are sealed and the air intake has been moved to a higher position. The precision steering and optimized wheelbases found on Trail Rated® Jeep models make it easy for your SUV to dodge obstacles along the way. Good articulation is not only advantageous for navigating off-road, but also for driving in construction areas or on roads that are in less than ideal condition. Trail Rated® ground clearance helps to prevent underbody damage when tackling tough terrain. Which Jeep Vehicles are Trail Rated®? What Jeep 4×4 vehicles can be found with a Trail Rated® badge? When you need a vehicle that has been meticulously designed to deliver the ultimate in off-road capability, a Trail Rated® Jeep should be at the top of your list. It’s hard to compete with the capability and style of these rugged and refined SUVs. 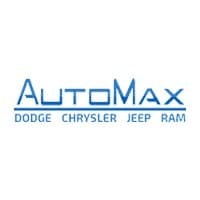 To see just how much these vehicles have to offer, contact AutoMax Dodge Chrysler Jeep Ram or set up a test drive.